If you’re looking for East Valley Smart Car service, this is for you! Regular maintenance on a Smart Car is largely parallel to maintenance on a traditional sedan or economy sized car. 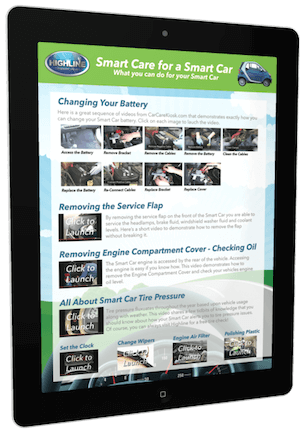 The Smart Car Scheduled Maintenance Guide does a good job of outlining what you need to keep up with. Here’s a list of Smart fortwo coup and cabriolet recommended maintenance services which we can currently provide for east valley smart car owners. 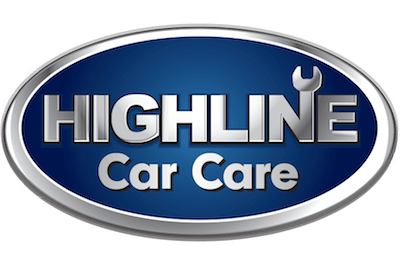 Our understanding of auto mechanics, our awareness of how unique a Smart Car is and our dedication to knowing each Smart Car owner is what separates our team at Highline from visiting a dealership. 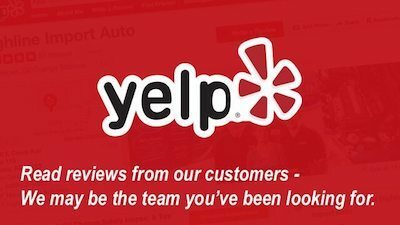 Please call us and tell us more about your Smart Car and how we can best take care of you and your vehicle.